I can agree with the sentiment below – so many amateur radio conversations are vacuous. How about taking it up a notch and get amateurs into the national conversation on topics of the day? A past president of the ARRL said that a renewed focus on Technology will reawaken the relevance of Amateur Radio. Will it? Or will this just drive Amateur Radio into a smaller and smaller niche market on the margins of society? SO MANY amateur contacts are empty and meaningless, an exchange of signal reports or technical descriptions of the most rudimentary sort. 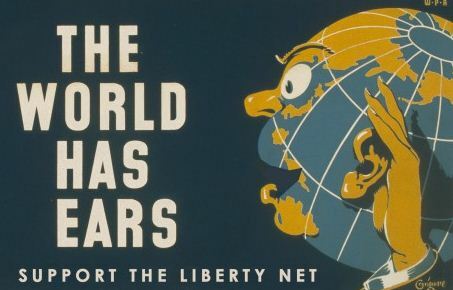 Such is seldom the case for the discussions that take place on or around 3950 kHz SSB during the weekly Liberty Net — a current events discussion net that has been meeting weekly since the 1970s. The Liberty Net operates formally only on Saturday evenings, but on many evenings you will hear some of the Net participants engaging in informal, free-spirited, and free-thinking discussions of important issues on the frequency. When intentional interference is present, sometimes the participants shift to 3953, 3947, 3947.5, 3960, or other nearby frequencies. The Future of Radio and Radios Legacy. This drives most of the postings on this site. This history of radio – you will find lots of historical information on radio, old radios, and stories of the history of radio. The future of radio – where is it going. And what’s in the middle, the organizations and environmental (technology,government) forces that take us from the past to the future – that’s the middle – now. What do the letters FRRL stand for?